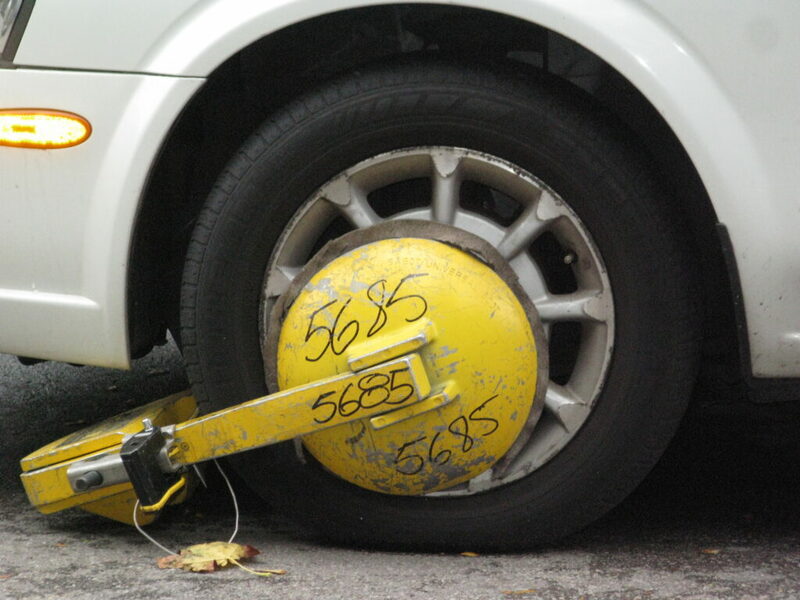 Microsoft has acknowledged an issue with PXE boot affecting Windows 8.1 and Windows Server 2012 R2 systems caused by a Security-Only update (KB4493467) released on April 9, 2019. Patch Management is an important role of a Sysadmin in the Enterprise, because securing endpoints with security updates to keep systems secure and functional, receive fixes that resolve issues, and patch security holes is highly important. However, with the frequency of security updates which are released these days, patch management tasks feels like a full-time job! For the most part, monthly patches are straight forward, however in recent months, they have been problematic where they have caused system crashes, blue screens, application functionality issues, and introduced other bugs. Some faulty patches are quickly reversed or rectified by Microsoft, while others go unfixed for a longer duration causing further duress and downtime in many organizations. This has been a major pain point for Sysadmins in the field. According to this KB4492307 posted by Microsoft, the problematic patch will not be reinstalled for 30 days to allow Microsoft and it’s partners to investigate and fix the issues. This process seems like a good proactive approach by Microsoft to get a handle of buggy patches, however more information is needed in terms of how this will work with detection, deployments, and compliance of these patches using ConfigMgr and WSUS as mechanisms for patch management in the enterprise. Time will tell, we hope! Microsoft is a leading edge company for Artificial Intelligence (AI) and has been working in this space for quite some time to bring AI into business processes including several Microsoft products. 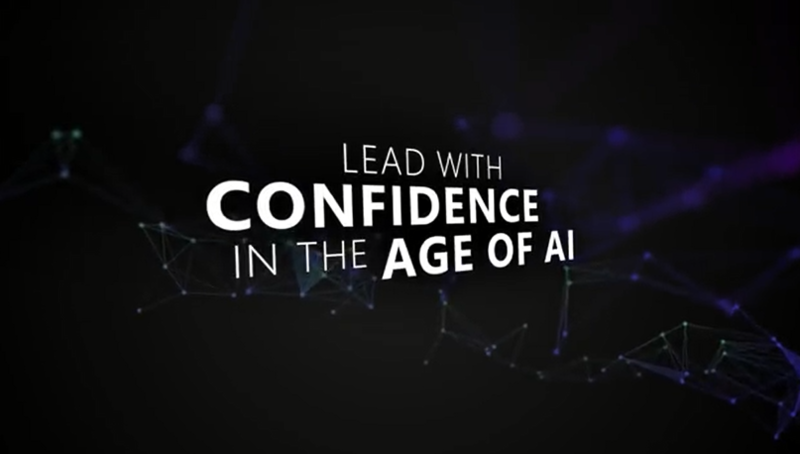 Today, Microsoft announced via a blog post “Microsoft launches business school focused on AI strategy, culture and responsibility” that it is providing a free learning platform for AI at Microsoft AI Business School. This is going to be a hot sector in the Information Technology industry and now is a good time to get your feet wet with some AI knowledge. Happy learning! 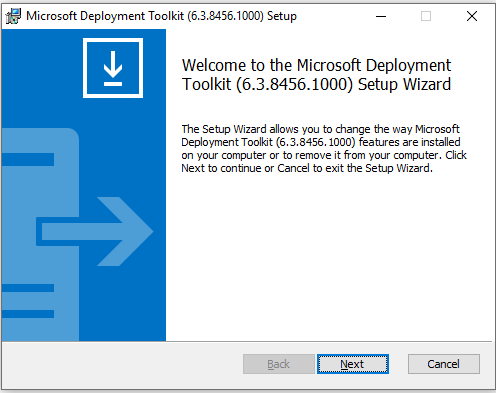 The Microsoft Deployment Toolkit (MDT) has been released and the most current build (8456) which can be downloaded from the Microsoft Download Center. This update requires the Windows Assessment and Deployment Kit (ADK) for Windows 10 version 1809 (10.1.17763.1) which is available for download on the Microsoft Hardware Dev Center. Check out Johan Arwidmark’s “A Geeks Guide for upgrading to MDT 8456” blog post for steps to upgrade MDT as a standalone and in ConfigMgr. 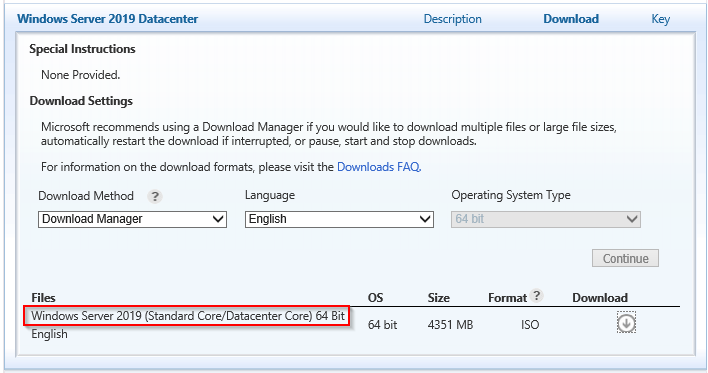 The ISO download for Windows Server 2019 has been released and is now available from the Microsoft Volume Licensing Service Center (VLSC) portal. You’ll find the 64-bit ISO file with a download size of 4351 MB. Here’s a short description of Windows Server as seen in the VLSC portal. To learn more about Windows Server 2019, such as features, deployment, management, system requirements, and more, read HERE! 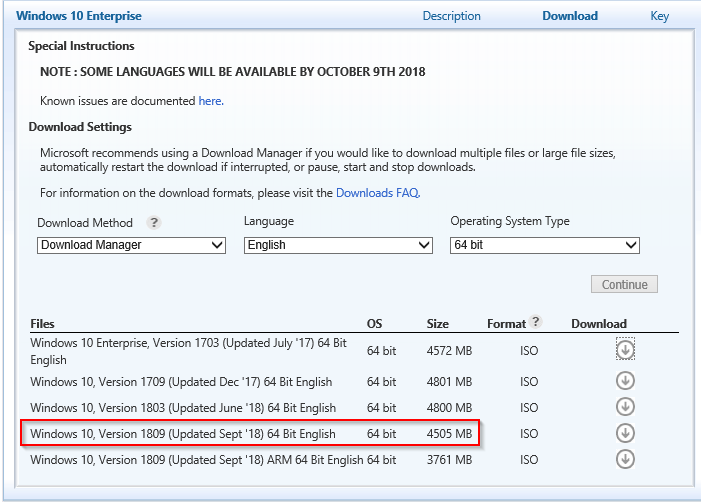 The ISO download for Windows 10 October 2018 Update edition (version 1809) has been released and is now available from the Microsoft Volume Licensing Service Center (VLSC) portal. You’ll find the 64-bit ISO file with a download size of 4505 MB. The 32-bit version is also available for download (3278MB). Here’s what’s new in Windows 10 October 2018 Update and Office. And here’s some additional information on how to get Windows 10 October 2018 Update. 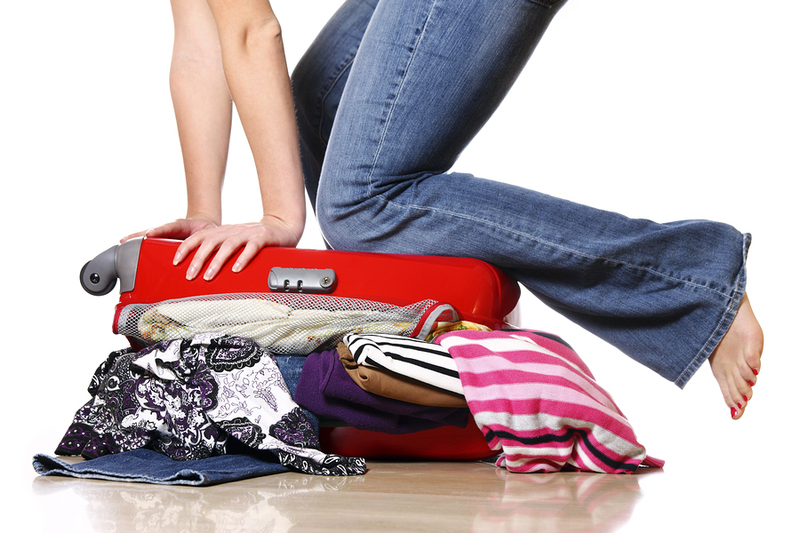 You can check out the known issues HERE! 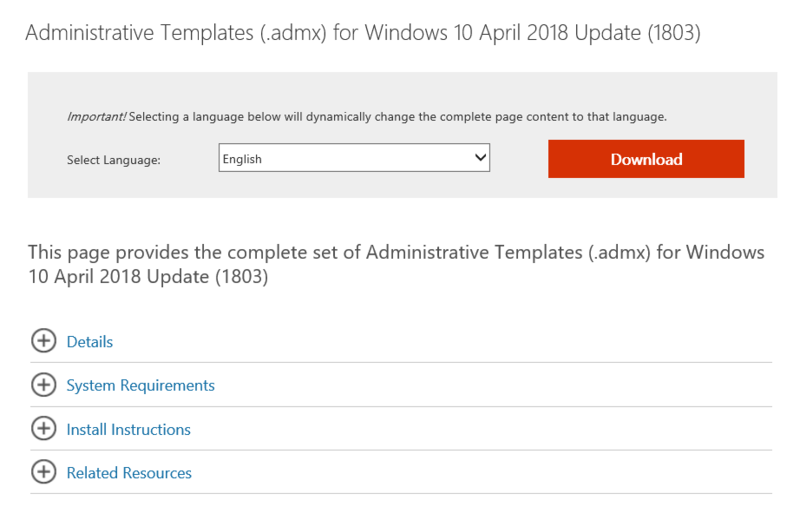 With the release of Windows 10 version 1809, the following tool to support this latest Windows 10 build, Windows Assessment and Deployment Kit (ADK) version 1809 is now available. You can download it from: Windows 10 Assessment and Deployment Kit (ADK). NOTE: There is a new change with this ADK which requires an add-on installation to include Windows PE. 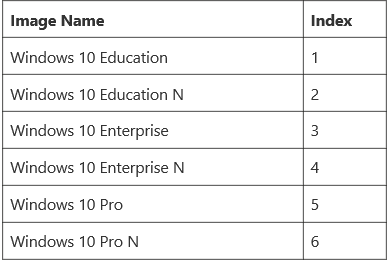 Starting with Windows 10, version 1809, Windows Preinstallation Environment (PE) is released separately from the Assessment and Deployment Kit (ADK). To add Windows PE to your ADK installation, download the Windows PE Addon and run the included installer after installing the ADK. This change enables post-RTM updates to tools in the ADK. After running the installer for the WinPE add-on, the WinPE files will be in the same location as they were in previous installs of the ADK. See Download and install the Windows ADK and ADK tools to get the ADK and WinPE add-on. 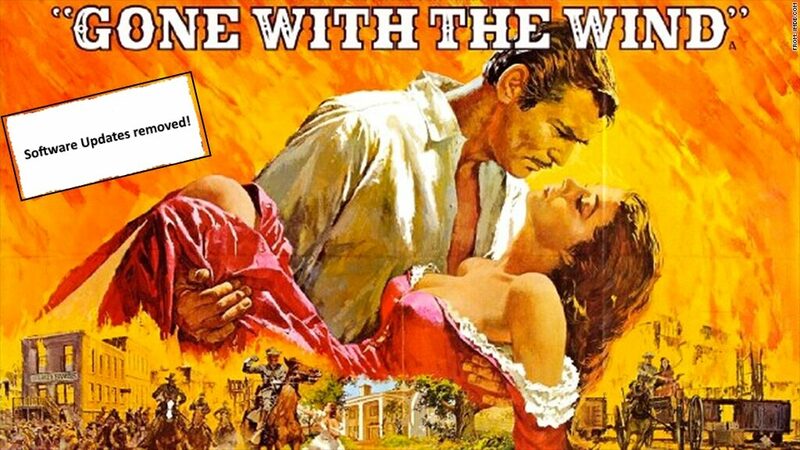 Johan Arwidmark has written a nice PowerShell script to automate the installation of the Windows ADK and Windows PE Add-On. You can grab it from his script repository on GitHub. This is very useful. The Windows ADK is also available to Windows Insiders. Join the Windows Insider Program to get the Windows ADK Insider Preview. The Windows Assessment Toolkit and the Windows Performance Toolkit to assess the quality and performance of systems or components. Deployment tools such as WinPE, Sysprep, DISM and other tools that you can use to customize and deploy Windows 10 images. Learn more about Windows ADK v1809 for Windows 10. 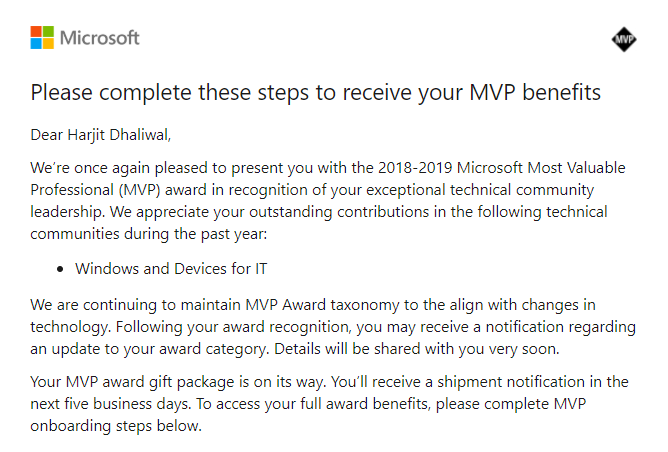 I’m so Thankful, honored, and excited to receive the above email from the Microsoft Most Valuable Professional (MVP) Award team confirming my award renewal for the 2018-2019 year. This is my second consecutive award since receiving my first one on January 1, 2017. It has been a wonderful, exciting, fun, challenging, and rewarding experience with endless opportunities. The MVP award has provided some great opportunities for me in terms of my career growth, skill development, and avenues to give back and help others in the IT Professional community. 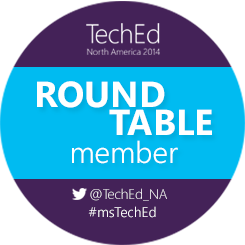 I have been invited to speak at conferences such as Microsoft Ignite (Orlando 2017), MVP Community Connections (Boston and New York City), TechMentor, IT/Dev Connections, MMSMOA, user groups, webinars, as well as opportunities to guest blog, expert panelist, review technical books, test and evaluate software, provide technical expertise, guest podcaster, community reporter at Ignite 2017, community engagement specialist at various events, and much more. I am very grateful and appreciative for my MVP award and various opportunities provided to me over time. 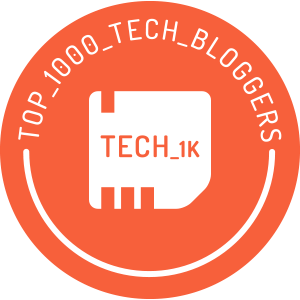 Thank you very much to each and every one of you for making me successful in my efforts as a MVP, IT Professional, and community contributor, and for providing me with the valuable resources and networking opportunities. Thank you!